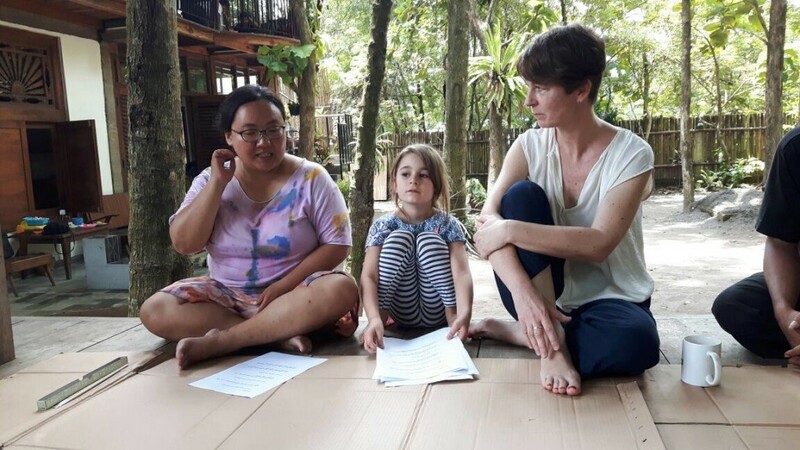 During a one-month-residency in Yogyakarta on invitation of KUNCI and OFCA International, which was supported by the ifa – Institute for Foreign Cultural Relations Germany and Jogja InterKultur Nadin Reschke and Indonesian artist Setu Legi worked together on the project Troubling Forms. The up-rise of new rightist movements, racism, xenophobia and the growing social inequality in Europe threatens basic democratic values like tolerance. What is the situation in Indonesia, a country with such cultural, religious and linguistic diversity? Do you feel you live in a tolerant society? How do you experience in/tolerance in your daily life? Are you tolerant with yourself? 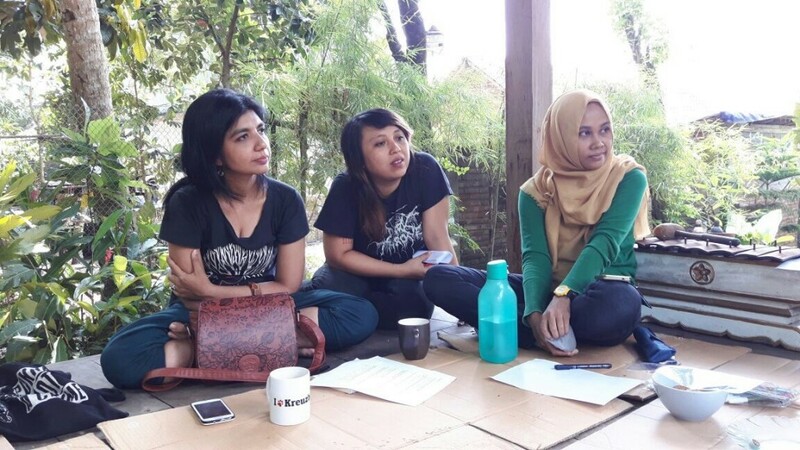 With these and other questions artists Nadin Reschke from Berlin and Setu Legi from Yogyakarta opened a common space of enquiry and invited people to collaborate in their project „Troubling Forms“. 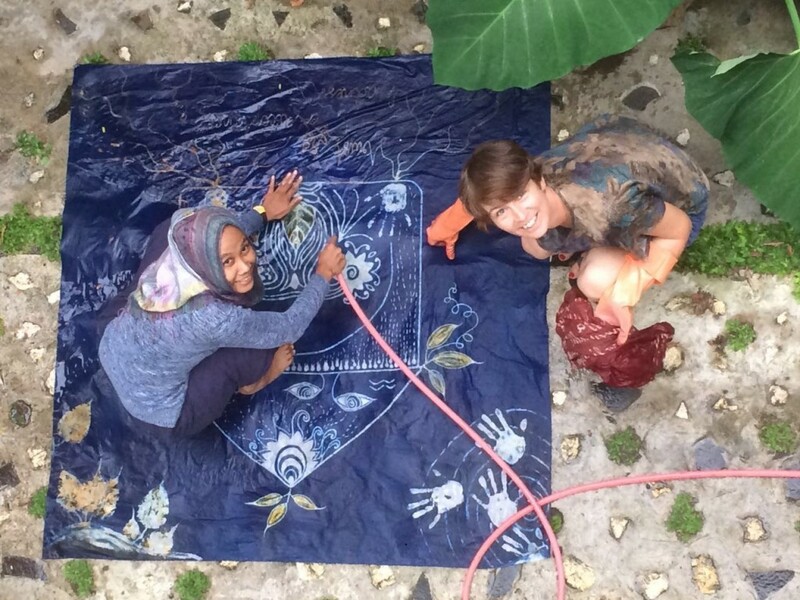 Starting point was a workshop in Batik Simbut – a traditional batik technique using rice flour and palm sugar. 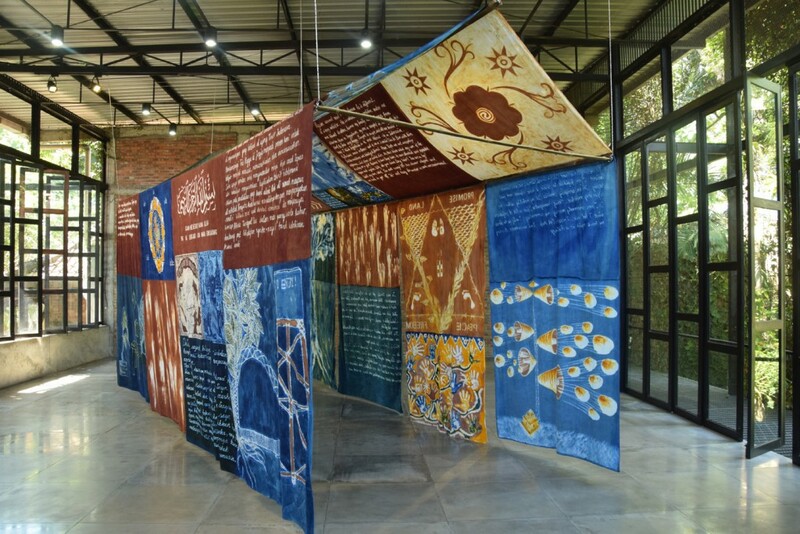 Answers, viewpoints as well as individual experiences were batiked as texts and images on large cotton flags. The artists and participants continued with taking the questions onto the streets and into daily life, interviewing neighbours, friends and people in Yogyakarta. Bringing all voices together creates a multitude of positions and viewpoints. 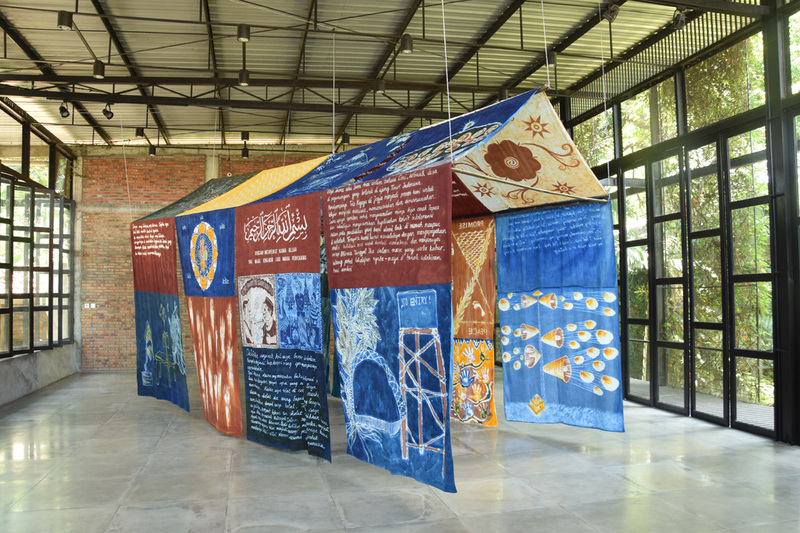 The result is a tent made from all Batik cottons sewn together referring to a longhouse. The betang – a traditional form of long, narrow housing in Borneo, where the community lives together sharing public and private areas – serves the artists as a model for a common space, where everybody is equally respected. Troubling Forms was realised in collaboration with: Caroline Rka Winata, Om Syamsul, Prapti Alpandi, Surya Wirawan, Agustina Ponila, Oktafianti Putri, Dodi Irwandi, Silvana Fadlilah, Dian Astuti, Agustina Rahma, Sisca Dwi Ananda , Nana Lou Reschke, Leo Aranya, Josha Ananta, Embun, Rozzan, Dito, Aoi, Stefani, Christina Schott, Fendry Ekel dan Ferdi Thajib.